A single accident can bring about damaging consequences to a plant, such as production stoppages, psychological impact on workers, legal compensation and more. This eventually affect the bottom line of any company. Learn how you can avoid them today. The CNC (Computerized Numeric Control) machine is an electromechanical device that manipulate machine shop tools using computer programming inputs. In a large machining center, workers operate on hundreds of CNC machines on a daily basis, moving heavy and bulky parts in and out of the CNC machines frequently. As seen in the above illustration, the CNC machine comes with a control panel, that automates the opening and closing of the machine door. If a worker accidentally obstructs the path of the closing door, it will lead to a serious human-machine accident. It is common to find hundreds of production workers operating on hundreds of CNC machines in a plant. 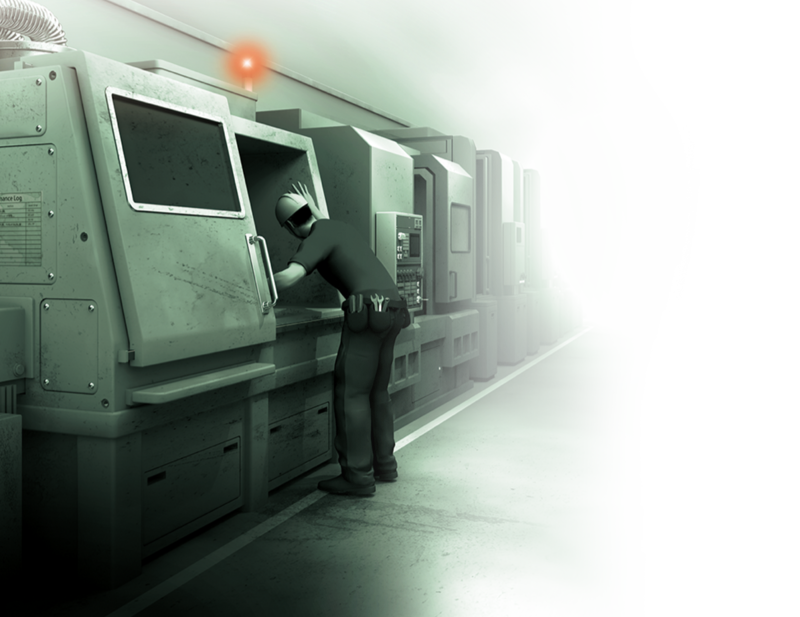 The risks of a such a human-safety accident occuring during operations of the CNC machines, could therefore be higher. 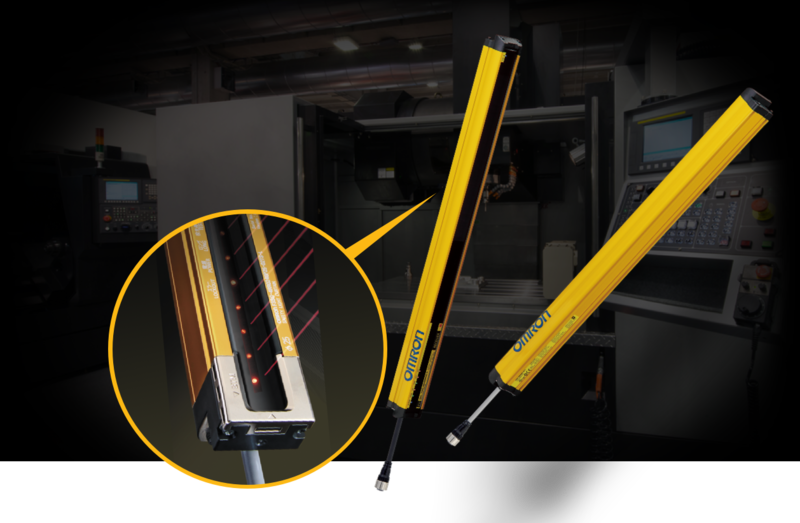 Installed against the edges of the CNC Machines’ doors, OMRON Safety Light Curtain effectively prevents the automated door from closing, when it detects an obstacle in between. As such, production workers can operate in a safer working environment, while the company’s management reduces its potential risks and losses arising from accidents. Simply fill in the information below and click on “REQUEST FOR BROCHURE” button to get it delivered to you.